Posted June 27th, 2013 by alexa & filed under Weddings. At a recent Wedding Fair at the Russell Square Hotel I ran a competition. 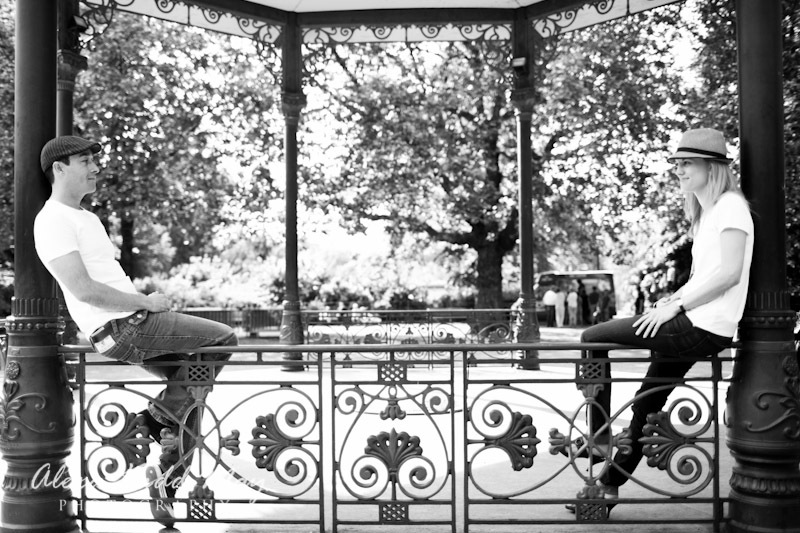 It was for wedding couples to win a 2-hour London engagement shoot in a location of their choice. The winners were a lovely couple from Australia called Georgia and Conan. I met so many interesting people on the day and was really pleased when their names were drawn out of the hat! 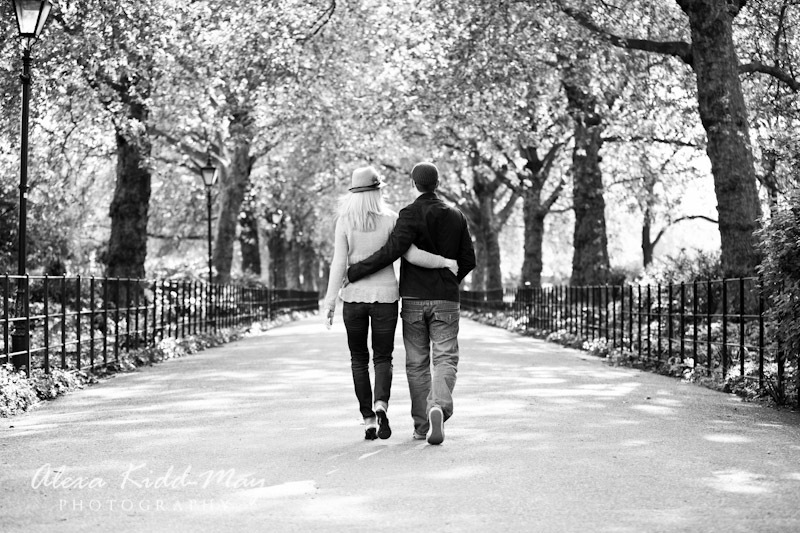 They chose Battersea Park for their photography session and we spent a delightful afternoon wandering through the park. As well as finding new places for the photographs we also used many spots that I’ve used before on previous visits. 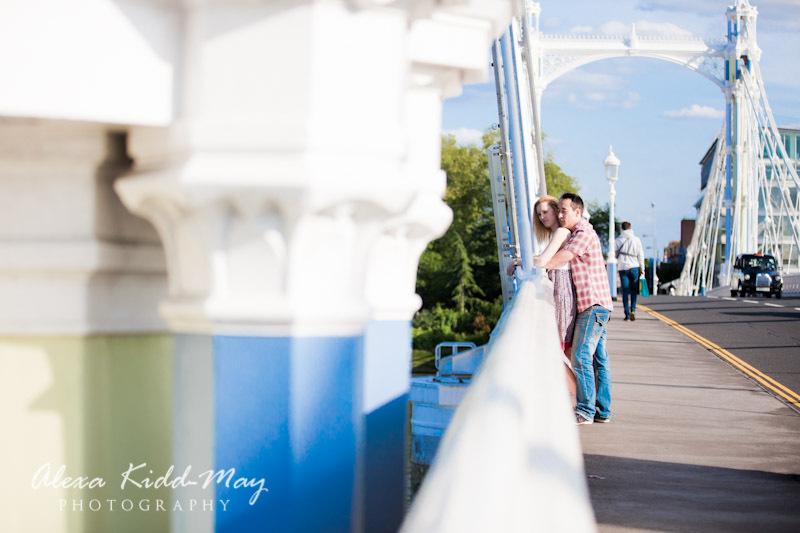 One of the wonderful aspects of Battersea Park is the wide variety of stunning backdrops which really help to set the mood. 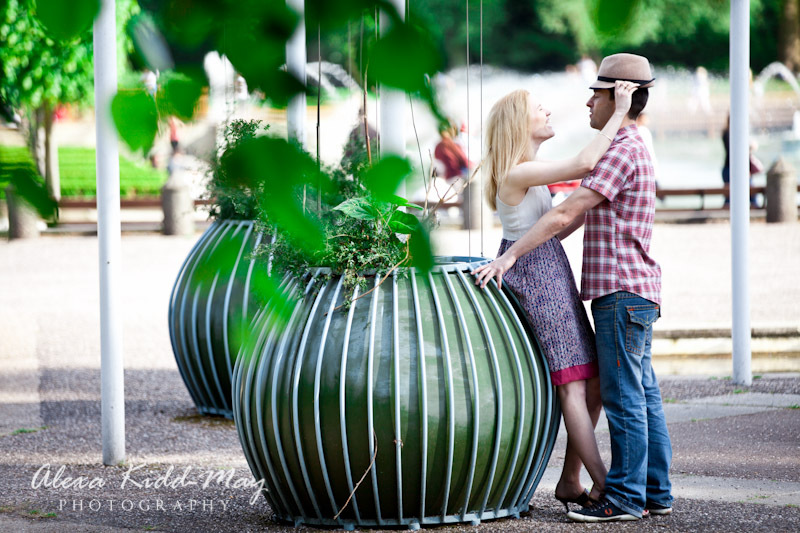 The great thing about the engagement shoot is that it gives you a chance to get to know each other. 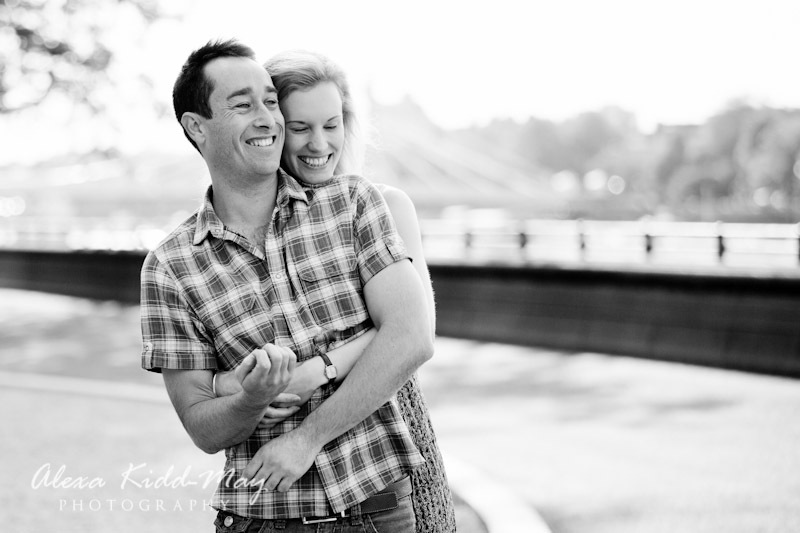 I can also find out how the couple feel in front of the camera. 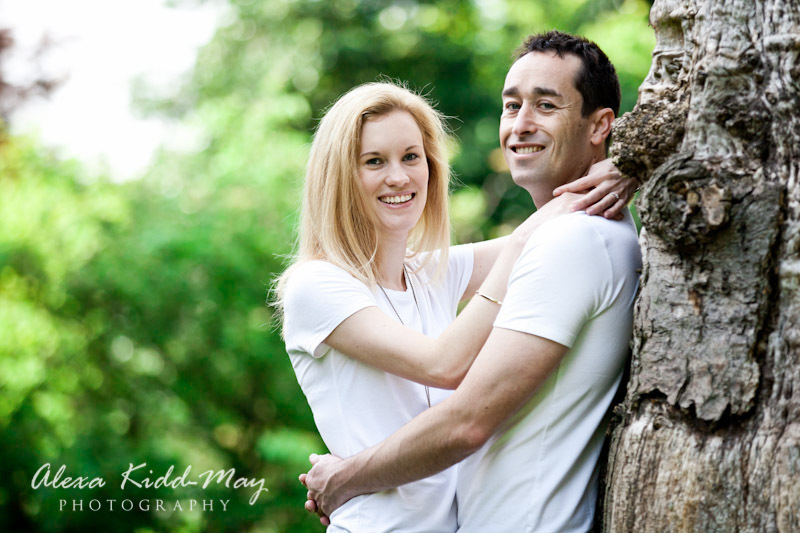 I like to have a really relaxed and informal approach so everyone feels comfortable. 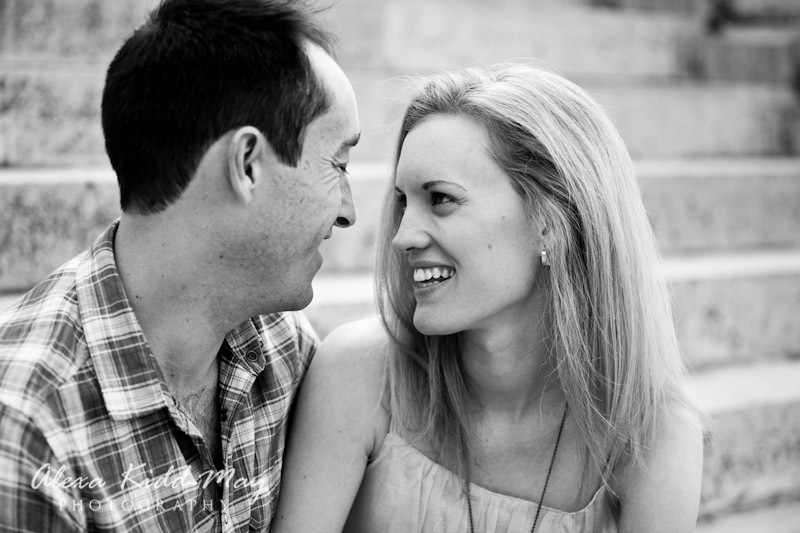 It’s also lovely to hear all their plans for the big day. 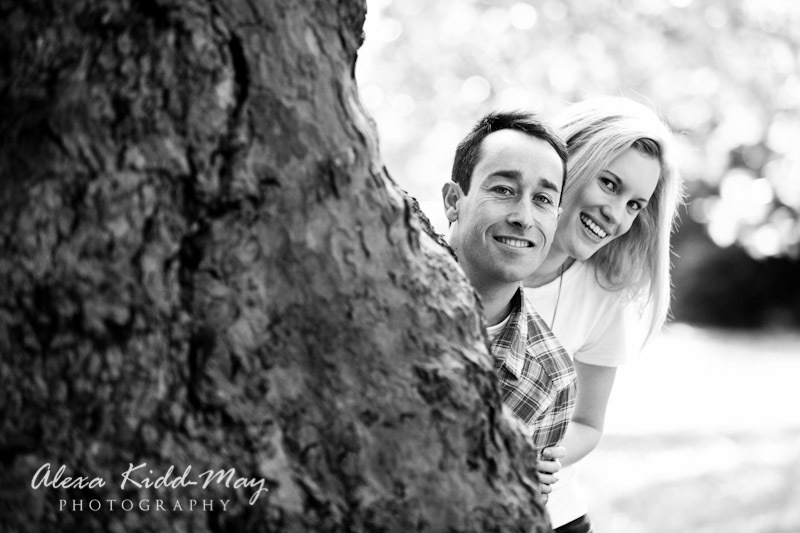 Wedding photography in London is full of exciting opportunities. The huge number of venues offer unlimited variety and potential. 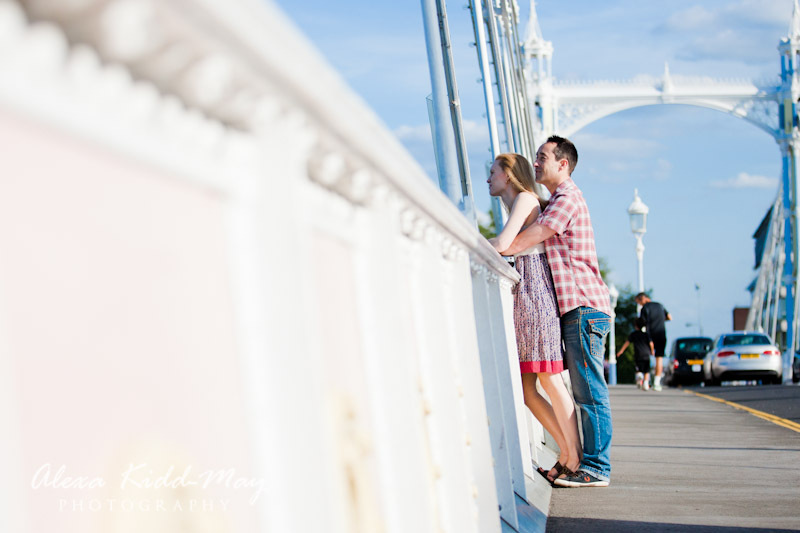 Our informal photography session finished at Albert Bridge. This is another favourite place for me with it’s combination of eye-catching construction and non-stop action. 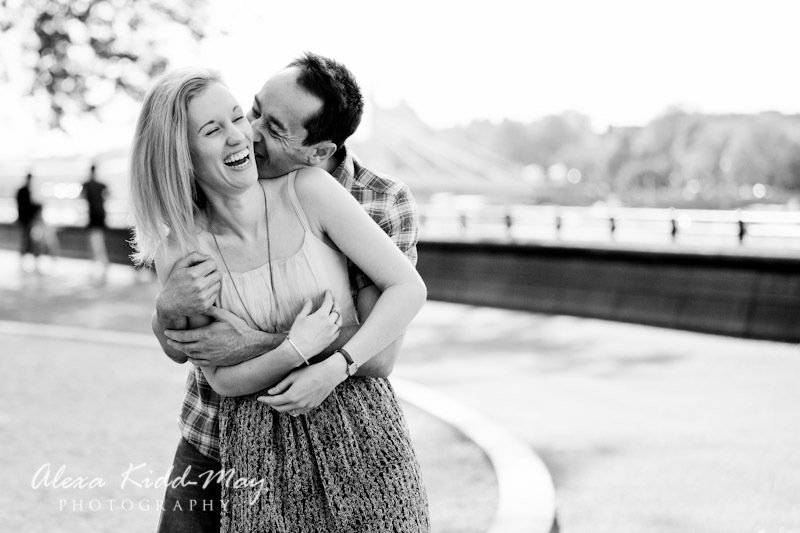 Yes, Battersea Park is definitely one of my favourite settings for a pre-wedding shoot. What a terrific shoot! 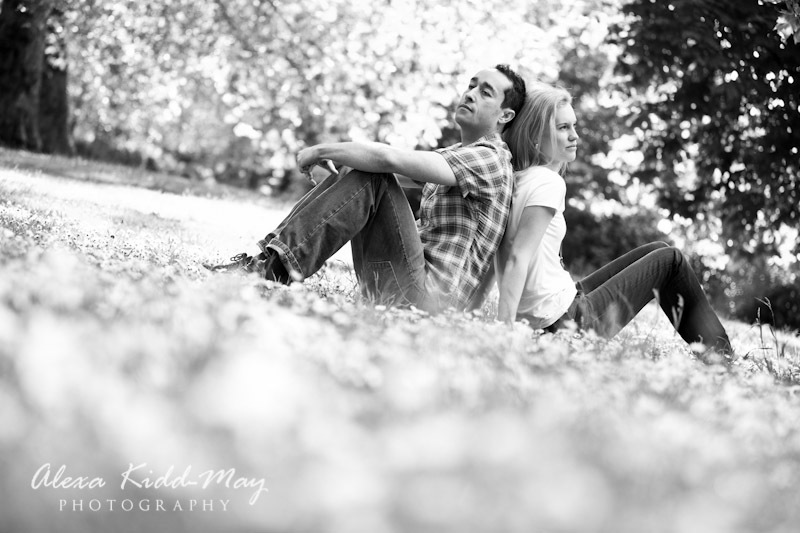 Really relaxed and natural and lovely location. 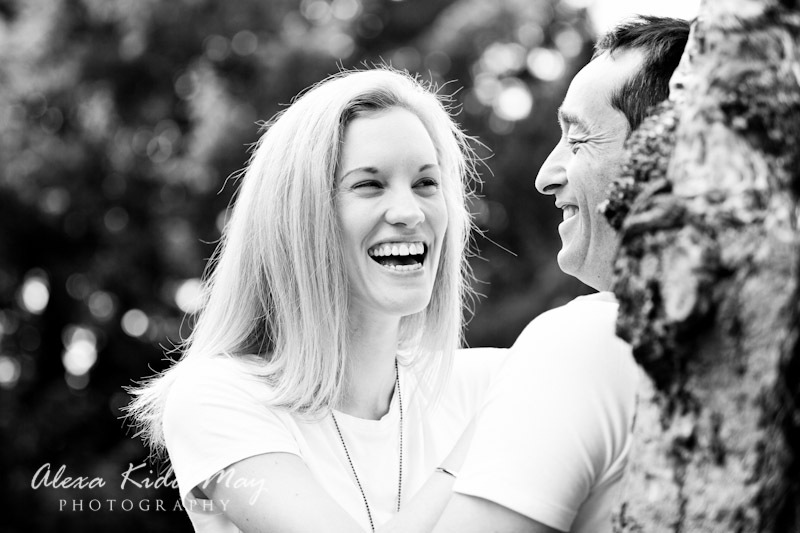 I really like the 5th from last but hugging b&w shot, lots of fun and love being shown there. I’ll bet Georgia and Conan loved your images!